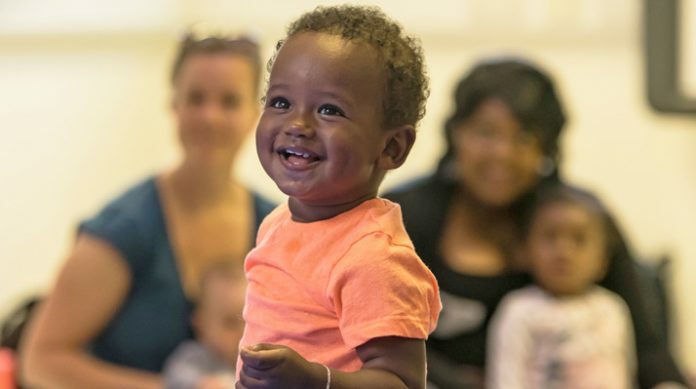 Musical Rumpus, our award-winning opera created especially for babies and toddlers, heads to East London on tour this autumn. From late October, a reimagined Musical Rumpus: Fogonogo will travel to libraries and community venues across the East London boroughs of Barking & Dagenham, Newham and Tower Hamlets. Babies will be invited to explore the multi-sensory world of Fogonogo, where friends Mica and Feldspar delight in a series of playful experiments. Following the tour we will be running training sessions for library and community centre staff to develop skills to create and deliver their own musical projects for early years participants. Fogonogo has been created by Zoë Palmer and Sam Glazer and follows this Spring’s tour which saw over 1,200 babies, toddlers and their families enjoying the story, singing and music of this enticing soundscape. The Musical Rumpus: Fogonogo tour is supported by Arts Council England, City of London, Kirby Laing Foundation, Newham Music, Tower Hamlets, London Borough of Barking & Dagenham and Youth Music. Watch this space for Musical Rumpus activities to try at home.